Machine learning, artificial neural networks, natural language processing and data dictionaries—these terms were all highlighted during the Emerging Business and Technology, Robots & Realities forum, “Artificial Intelligence: Virtual & Augmented Reality, and What They Mean to REALTORS®,” that took place during this year’s REALTORS® Legislative Meetings & Trade Expo in Washington, D.C. While the average real estate professional doesn’t hear these words often, the technology behind them is becoming more and more apparent in the industry. Only four in 100 agents are using AI; most are thinking about it, but haven’t yet invested in or deployed the technology. Artificial intelligence, augmented reality, blockchain and other technologies are transforming real estate, and knowledge of how these innovations function will be the difference between a successful industry professional who leads the pack and one who falls behind. While many fear this technology could replace the agent in a transaction, panelist Greg Cypes, chief technology officer for Contactually, a real estate CRM company, assured the crowd that artificial intelligence will merely play a supplementary role in the industry. The biggest change that may be seen in the next 3 – 5 years, according to panelist Aleksander Velkoski, data scientist for the National Association of REALTORS® (NAR), is artificial intelligence that’s indistinguishable from humans, mainly in the form of virtual assistants. As an example, Velkoski played a recording of an AI program—Google Duplex—scheduling a haircut appointment on behalf of a consumer; the AI has been making strides by being able to communicate with humans regardless of conversation curveballs, such as the time requested being unavailable. In terms of real estate applications, Velkoski predicts that virtual assistants will be able to provide more advanced REALTOR®/client matching, as well as automated marketing, image-based property valuations and searches, augmented staging, hyper-local content curation, and social media monitoring. The next big thing? Blockchain technology, according to panelist Mark Lesswing, chief technology officer at NAR. Along with allowing agents to get paid faster, blockchain could have myriad benefits for the real estate industry, helping to improve property records, reduce the cost of business for all parties, reduce risk in real estate transactions, and get to the closing table faster. 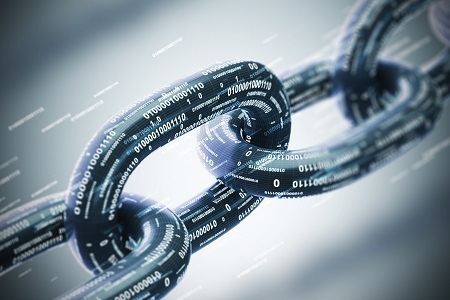 To perform its own research and test the claims of this technology, NAR and CRT Labs (a Center for REALTOR® Technology Program), created their own blockchain that records REALTOR® involvement at state, local and national levels, as well as tracks cross-association, contributions and other member movement. What’s next for NAR and blockchain in real estate? Although federal legislation and regulations have not yet been passed, 13 states have already introduced bills related to blockchain. Lesswing believes this may pose a challenge, as there will be different definitions for blockchain regulations across state levels, making it difficult to control a transaction. He called for a nationwide definition of blockchain and legislation that would make it easier to transact using the technology. “We should use our power at the state level to set what these definitions are, and hopefully we can control the transaction, because we become the transaction,” said Lesswing.